Rustic Decorative Ship Wheel With Starfish and Hook 8"
Dark Blue Decorative Ship Wheel with Hook 8"
Rustic All Light Blue Decorative Ship Wheel with Hook 8"
Rustic All White Decorative Ship Wheel With Seashell and Hook 8"
Rustic All White Decorative Ship Wheel with Starfish and Hook 8"
Rustic Decorative Ship Wheel With Anchor and Hook 8"
This Rustic Decorative Ship Wheel with Starfish and Hook 8" is unique with a sleek stylish quality finish to make this the perfect nautical ships wheel to accent any room in your home. It will make an excellent addition to any nautical themed room. 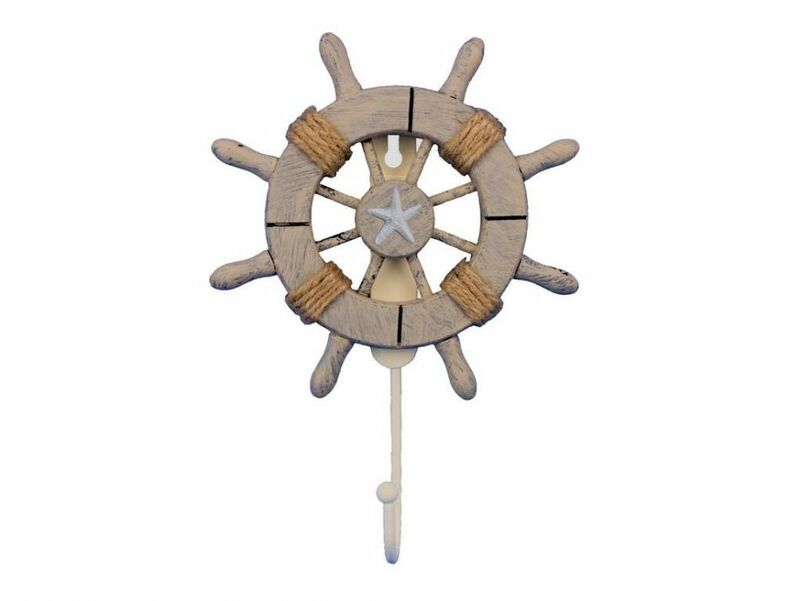 This charming boats steering wheel has eight spokes and is easily mountable to a wall.